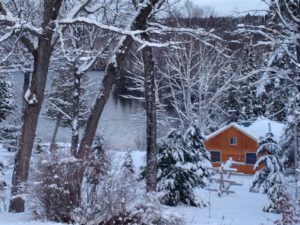 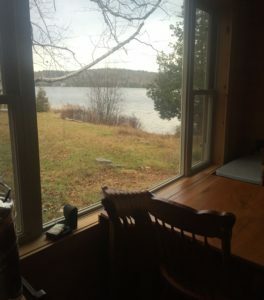 This newly built, bright two bedroom cottage sits 30 feet from the shoreline and the large windows throughout provides each room with a view of the lake. 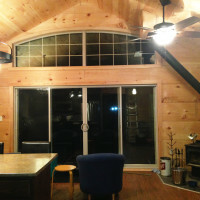 It features a vaulted ceiling in the great room with rustic, hand milled and rough planed, 17-inch pine plank interior. 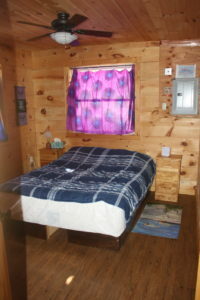 It includes a four piece bath, porch, and deck. 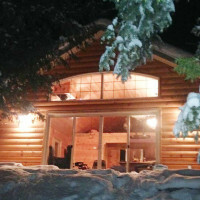 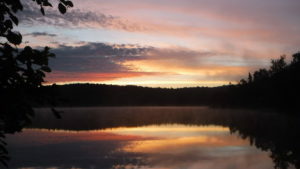 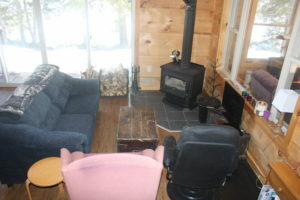 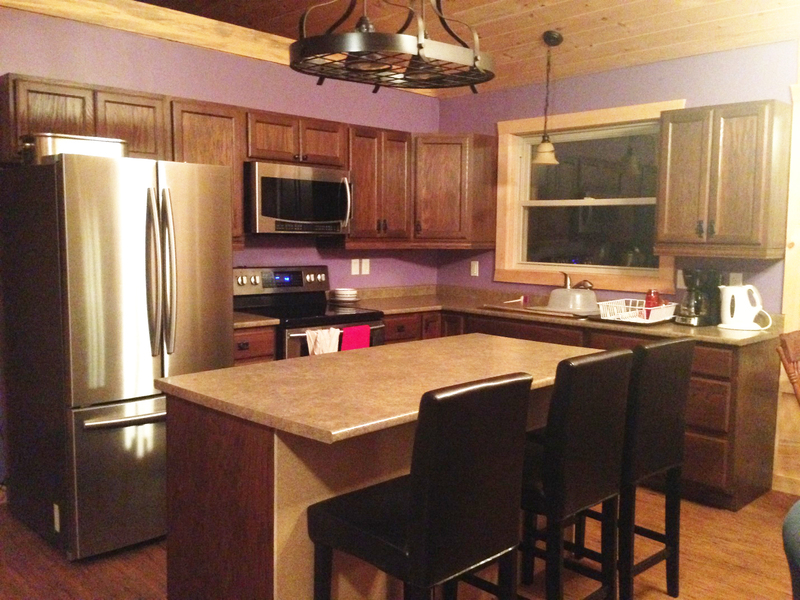 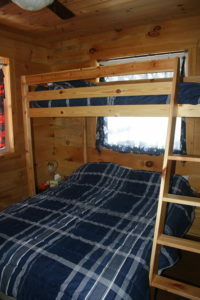 You can enjoy the comforts of this cottage year around! 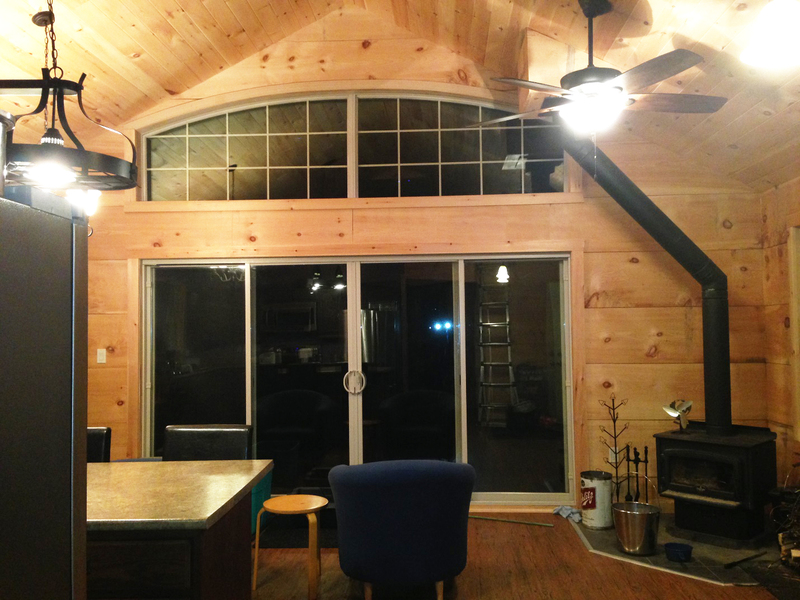 In the summer, ceiling fans in each of the living spaces, provides a cooler retreat from the summer heat. 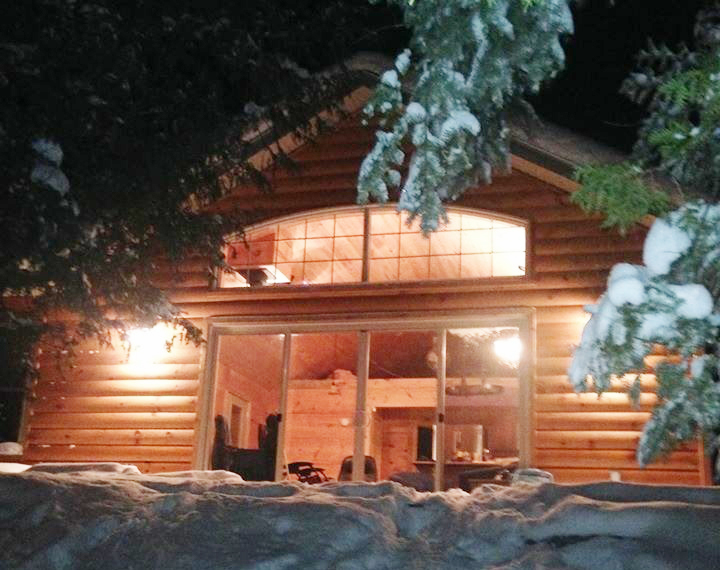 In the off-season, you can come in from the winter wonderland and enjoy the welcoming warmth of the in-floor heat while watching the crackling fire in the woodstove. 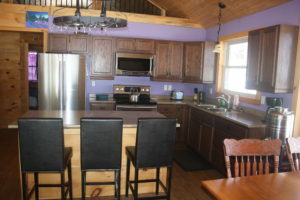 This isn’t a cottage, it is paradise! 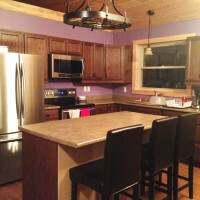 Full size kitchen: stainless steel fridge, stove with double oven, microwave, coffee maker, Tassimo, Keurig, toaster, waffle maker and crock pot.